The next Friends of Music recital will take place on July 31, 2018, and will feature the Aristide and Ralitza Violin and Cello Duo. 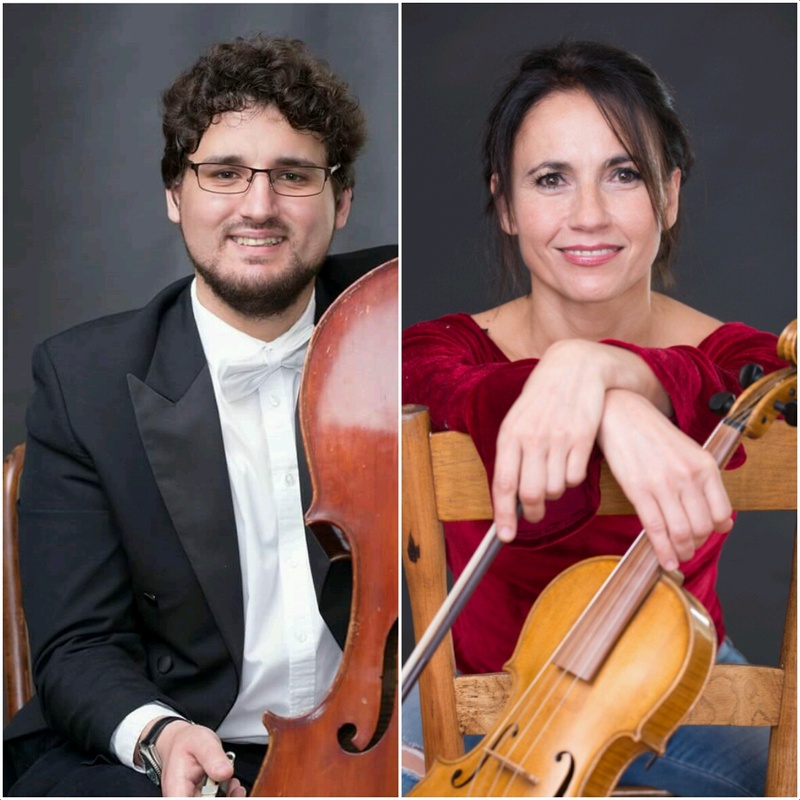 In January 2018, as a natural consequence of many years of intensive artistic collaboration as colleagues in the KZN Philharmonic Orchestra and as chamber musicians, Ralitza Macheva and Aristide du Plessis formed an exciting new Duo. The programme includes JS Bach’s Two Part Inventions (Selection); Joseph Haydn’s Duo for violin & cello in D Major; Ludwig van Beethoven’s Duo for Violin and Cello in F Major and Maurice Ravel’s Sonata for Violin and Cello. Du Plessis was born in Durban in 1989. He has established a reputation as one of South Africa’s leading cellists, both as a soloist and chamber musician. As a soloist he has performed since the age of 15 with all of his country’s leading orchestras. A graduate of the University of Cape Town, he was awarded a scholarship from the prestigious Oppenheimer Memorial Trust which enabled him to further his studies at the Zürich University of the Arts. Since his return to South Africa in April 2015, has been the Co-Principal Cellist with the KZN Philharmonic Orchestra. Bulgarian violinist, Ralitza Macheva is a Graduate of the Pancho Vladigerov Music Academy in Sofia, and the Music Conservatorium in Enschede, The Netherlands. She worked for several years as Principal Violinist in the Chamber Music Ensemble, “Amadeus”, in Seoul, South Korea. She subsequently returned to Bulgaria where she held the position of Associate Concertmaster of the Pleven Philharmonic Orchestra. Since her relocation to South Africa in 2000, she is the Co-Principal Second Violinist of the KZN Philharmonic Orchestra, Durban. Her dedication to music of the Baroque era resulted in her appointment as Leader of the Durban-based orchestra, Baroque 2000. She also and works in close collaboration with the Baroque Ensemble “Camerata Tinta Barocca” in Cape Town. The recital will take place at 19h30 on July 31, 2018, at the Durban Jewish Centre, 44 KE Masinga (Old Fort) Road. Tickets R120 (R100 FOM Members) available at the door. For more information contact friendsofmusic@webmail.co.za or phone Keith at 071 505 1021.